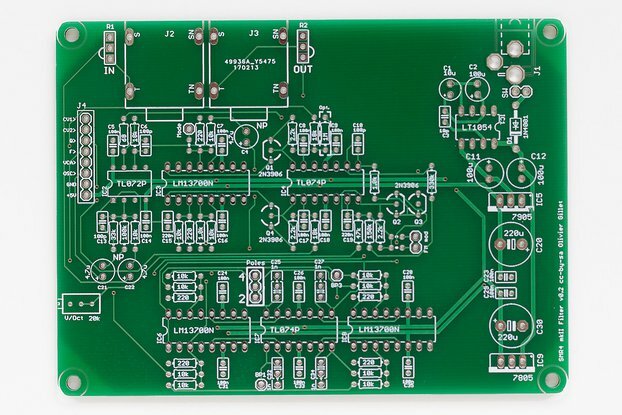 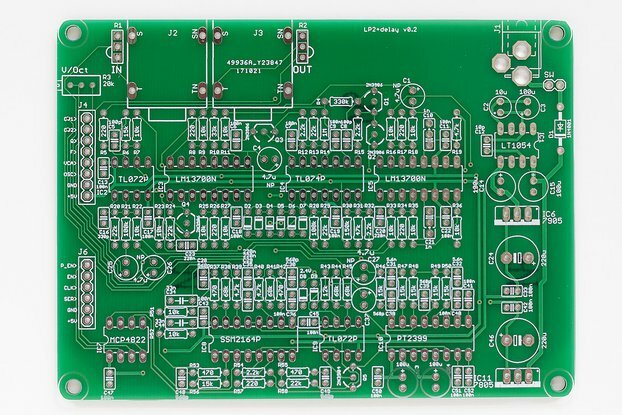 This is a bare PCB for the Dual SVF filter board for the Shruthi monosynth. 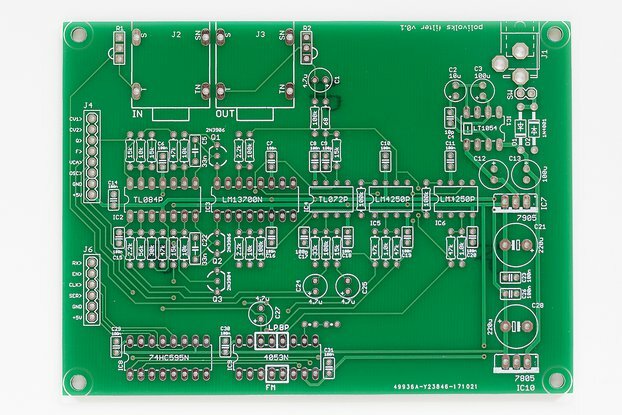 This is a bare PCB for the Dual SVF filter board for the Shruthi monosynth. 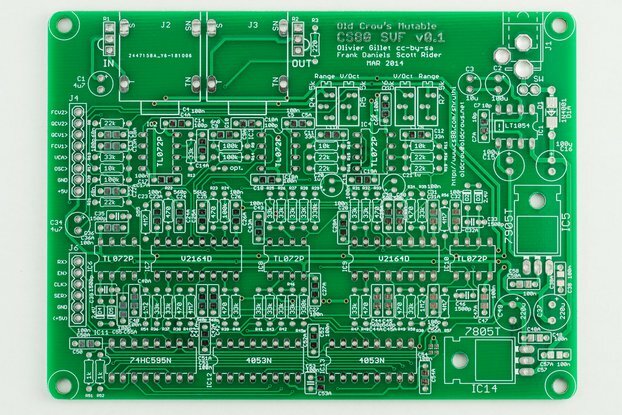 The Shruthi synthesizer makes use of interchangeable filter boards to allow every Shruthi to be customized to your musical needs. 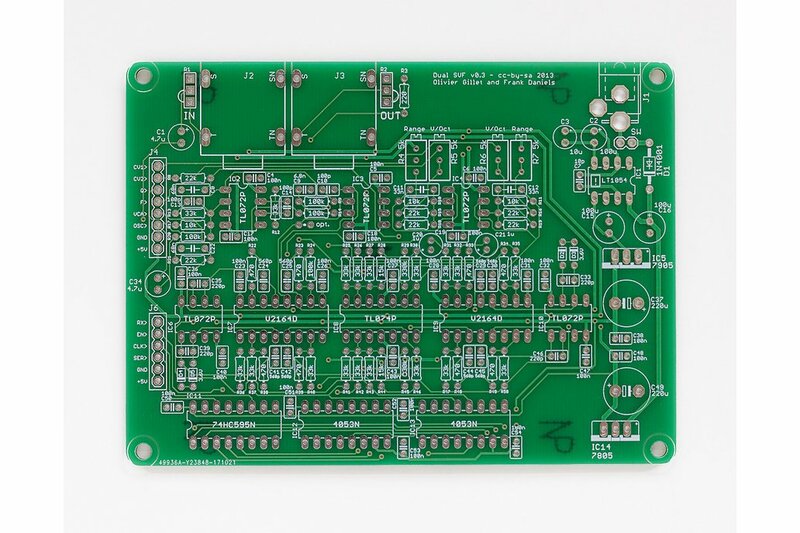 This filter board is unique in that it has two independent filters which can be operated in parallel or in serial, allowing unique sounds that are not typically possible on most monosynths.